It doesn't make sense. 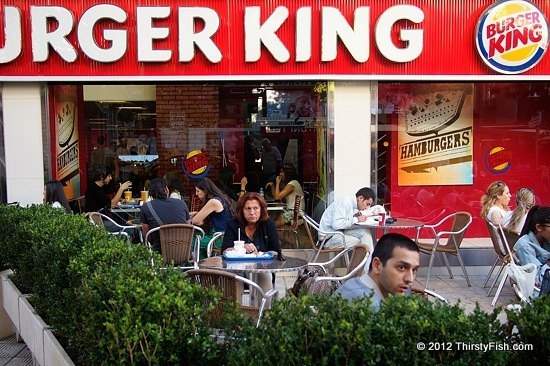 This Burger King is located at an area full of Turkish fast food restaurants with amazing food. Maybe Burger King's are just something different for the locals. Although I never ate at one while in Turkey, they tell me that the food is better than what Burger King offers here in the United States. After all, they have to compete somehow.